As appeared in The Abington Journal on December 3, 2018. 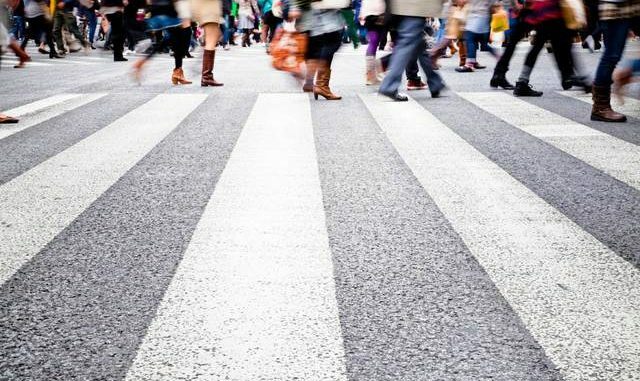 SCRANTON — The city is taking its first step towards a more pedestrian-friendly city, and community leaders invite members of the public to walk through the process with them. Scranton Tomorrow will host a free lecture titled Towards a More Walkable Scranton featuring guest speaker Jeff Speck at 6 p.m. Wednesday, Dec, 12 in the Kane Room of Leahy Hall at The University of Scranton. MSpeck is a city planner, urban designer and author of “Walkable City: How Downtown Can Save America, One Step at a Time” and the newly-released “Walkable City Rules: 101 Steps to Making Better Places.” A booksigning will immediately follow the lecture. After his friend Charles Jefferson, a local real estate developer, gave Scranton City Councilman Wayne Evans a copy of “Walkable City: How Downtown Can Save America, One Step at a Time,” Evans was inspired to share the book with other community leaders. “When I read the book, I had dozens of ‘aha’ moments that I couldn’t get out of my head, and I thought, ‘we must find a way to make this happen in Scranton, and make it happen in downtown,” MEvans said. Evans is particularly interested in the correlation Speck draws between walkability and increasing commerce, and how the concepts outlined in the book could be implemented in Scranton. These concepts include creating narrower lanes, reversing one-way streets to make them two-way, and improving walkability and pedestrian safety. “When people visit a city like Savannah, Georgia, or Charleston, South Carolina, or Austin, Texas, they may ask ‘why did I like it so much?’ and they find it’s because these cities are walkable. They don’t even realize what’s taking place. They just know that they can walk from point A to point B, and feel safe, and enjoy the experience and that’s what I think we’re trying to make happen here,” Evans said. This discussion is especially timely because the City of Scranton will conduct a transportation study in 2019 to assess walkability, pedestrian safety, on-street parking, feasibility of bicycle lanes, and adding more trees. Towards a More Walkable Scranton is designed to increase awareness about the economic, environmental, and epidemiological benefits of creating a more walkable city. Speck will offer insight into what makes walking useful, particularly as it applies to land-use, zoning, transit, and parking policies and practices. He’ll also explore how to create a safer walking environment by delving into topics such as vehicle speeds, block sizes, widths and geometries, curb protection and cycling facilities. Participants will learn about the elements of a comfortable and interesting walking environment through discussion of spatial definitions, height-to-width rations, vegetation, building facades and public art. In addition, Speck will discuss the General Theory of Walkability: in order to be truly walkable, built environments must make walking useful, safe, comfortable, and interesting. Towards a More Walkable Scranton is presented by the Greater Scranton Board of Realtors and Lackawanna County. Contributing sponsors include: the Architectural Heritage Association (AHA), Maloney Law, P.C., Jefferson-Werner, LLC, and The University of Scranton. Advance reservations are requested, but not required, by Monday, Dec. 10. To make reservations, contact Liz Baldi at lizbaldi@scrantontomorrow.org or 570.963.5901.